During my first year of work out of university, I clearly remember Chinese one was the only kind of restaurant food I was having out of business events. I was barely getting to end of the month with my salary and I remember with one lunch voucher I was saving we were having a portion of chicken and one of fried rice to share while watching our favorite TV show with my friend Tommy. It seemed ages passed since those years in Milan. 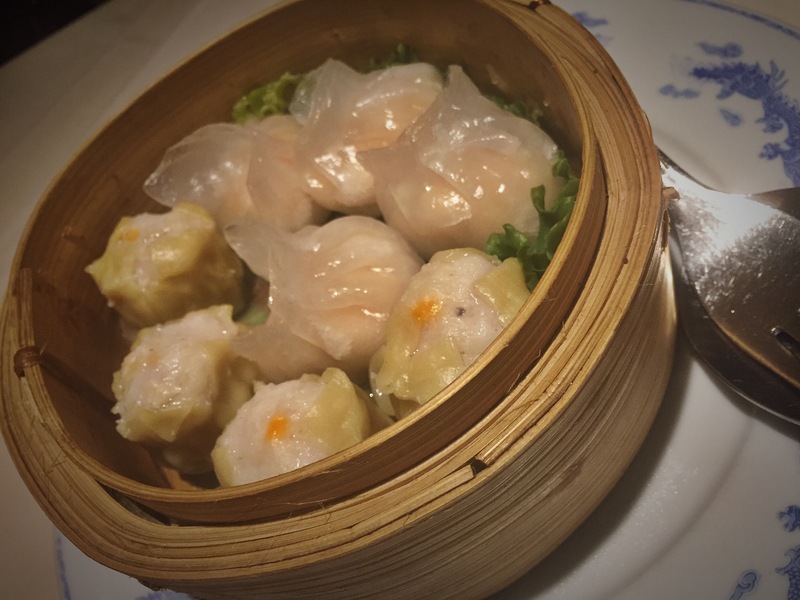 When I got in Luxembourg, I was surprised to discover Chinese food is not considered that bad, that Chinese restaurants here can be as well pretty fancy and not inexpensive. 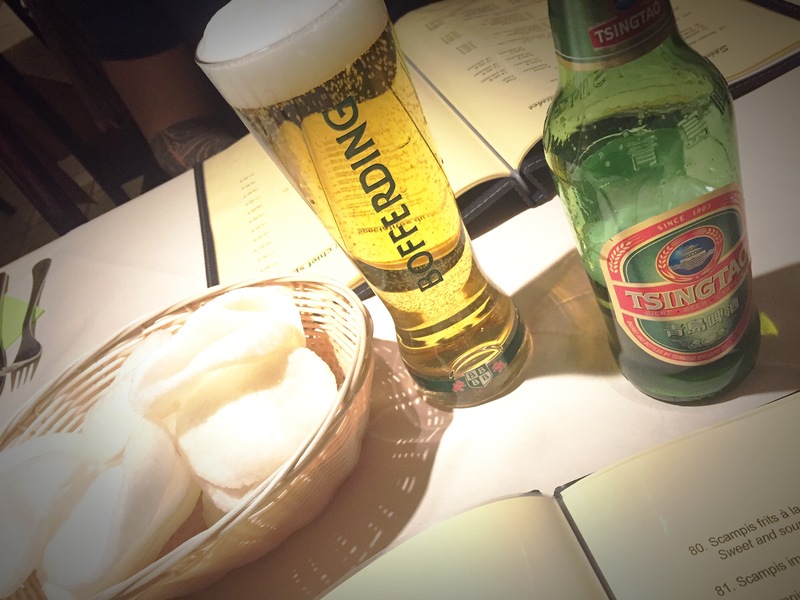 I have to say, generally, I still reserve Chinese food to hangover Sundays and lazy days, but last week I was really craving some good and well-prepared dumplings, so to celebrate a special achievement, I proposed hubby to visit Chinese King, in Merl. I used to go to this family-managed restaurant located in the main route de Longwy when I was working in the area. I had good memories and I was happy to discover nothing has changed. We got there around 9.15 pm, with no reservation, but we were welcomed with a bright smile by the lady owner. We were accommodated near the window. Even if it was a Monday night in a residential area in town, the restaurant was not empty and more people got there after us. 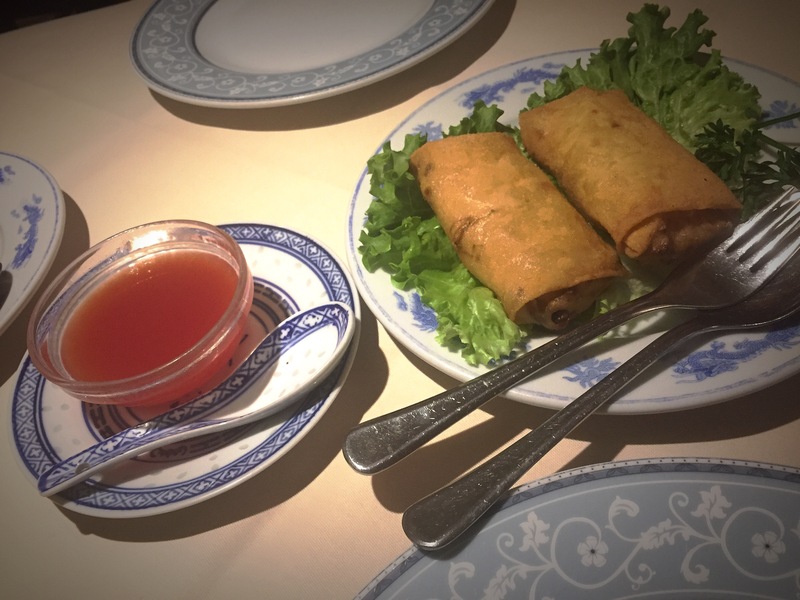 We continued with a portion of spring rolls and one of mixed pork / shrimps dumplings, followed by hot platter beef and garlic shrimps. To drink, we had a bottle of Chablis. With the coffee, we were offered a sake. Our total bill read less than 78 euro. Discover the pictures of our dinner and then some more detailed impressions about Chinese King. 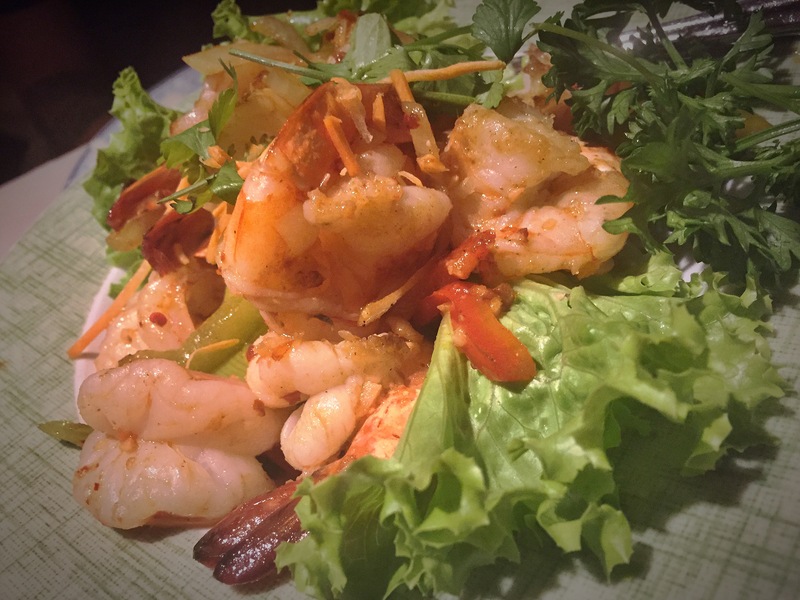 The food is really good: all the starters were particularly fresh – not the kind of frozen bites you have in the usual places – and the main tasty – you could exactly distinguish all the flavors in the plat. If you want a recommendation, instead of the normal hot platter beef we’ve taken, go for the ginger and rhum, really incredible – a pity hubby doesn’t like ginger. The service is nice: don’t expect something formal, but just to be served with a smile. Personally, nothing I dislike here. But if you expect a sophisticated place or a formal service, this might not be the place for you. In conclusion: If I have to eat a good Chinese dish, Chinese King in Merl is my favorite place. 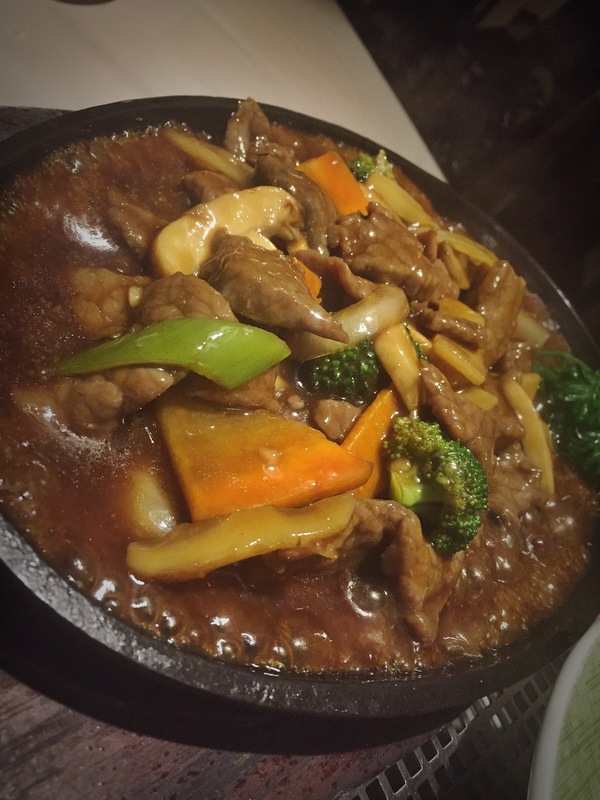 The ambiance is very simple but the food is tasty and the quality price definitely great.